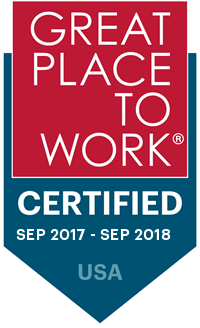 Asurion was awarded a coveted national certification as a great workplace by the independent analysts at Great Place to Work®. The nationwide workplace credential is based on ratings provided by employees in anonymous surveys, in which 88 percent noted Asurion as a great place to work. 95 percent said: Asurion has a great atmosphere. 92 percent said: Asurion offers great rewards. 96 percent said: We feel great pride. 94 percent said: Asurion offers great communication. 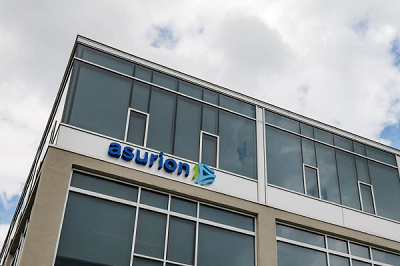 93 percent said: Asurion has great bosses. Extending support into our communities: We want to help foster the volunteer spirit among our employees. Many of our teams volunteer together as one team, from building Habitat for Humanity houses to adopting parks for cleanup. One of our more popular community events is Volunteer Week, where employees volunteer with one of several organizations. In 2016, 200 employees participated, donating 226 hours to six local non-profits. In addition, our corporate headquarters organizes weekly tutoring sessions and school events in partnership with Teach for America and KIPP Academy. Bundles of joy, not stress: Asurion families rest easy during pregnancy with the help of our Maternity Concierge, an HR adviser who guides expecting parents through pregnancy by creating custom resources tailored to the family’s exact healthcare benefits. Asurion’s Healthy Pregnancy program gives expecting moms around-the-clock access to nurses and education resources as they prepare for their new arrival. After delivery, new moms can enjoy up to 12 weeks of paid time off, and dads get two weeks of paid paternity leave. Employees who grow their family through adoption can get up to $10,000 in adoption assistance and four weeks of paid leave. A commUnity for all: commUnity, Asurion’s diversity and inclusion initiative, is committed to ensuring that all employees feel valued and have a genuine opportunity to thrive and excel within the company. At the heart of commUnity is our four Employee Resource Groups (ERGs), which unify Asurion employees with common interests for networking, mentorship, problem-solving, and volunteerism. Our ERGs are a reflection of the diverse Asurion commUnity, help us stay attuned to the pulse of the company’s culture, and assist us in connecting with the broader external communities we serve. Asurion recognizes that attracting, developing, and retaining diverse talent is crucial to the success of the company and its employees. Ace Points: Recognition is a meaningful part of our culture. Did a colleague go above and beyond for you? Did a team roll out an amazing new initiative before deadline? Give them ACE points! Our ACE social newsfeed is designed to celebrate achievements and recognize hard work. Points can be redeemed for merchandise, gift cards, travel, and more. It’s always nice to say thank you, but saying thanks with points that can be used for airfare is even better. 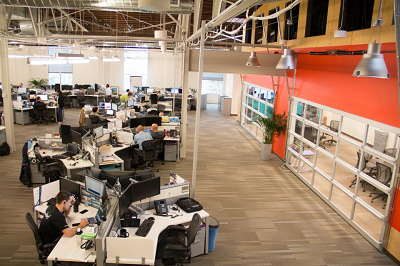 Good ideas from everyone: At Asurion, we believe good ideas come from everywhere, not just the corner office. That’s why we host multiple company-wide Hackathons a year, where employees of all levels collaborate to come up with innovative ideas to improve our customer and employee experience. Ideas are pitched to a panel of judges and the winning concepts are set into motion and turned into reality. Over 47 teams have participated in the past two years, with several winning ideas in implementation. Winners are able to select their choice of tech gadgets, such as Go-Pros, tablets, connected thermostats, and more. Helping our people grow: Our people are our greatest assets and we believe in putting them in the driver’s seat to advance their career and professional development. That’s why we provide the tools – including a library of over 6,000 on-demand learning options, job shadowing programs, and career coaching – for employees to define their own development goals and career plans with support from their leader. If an employee wants to further their academic education, we support them through an attractive tuition assistance program. Take time for you: Workplace flexibility: The positive side of “Adulting.” We empower team members to manage their work-life balance with a flexible approach to time in the office. As an adult, they can choose when to work offsite (from home, other office locations, or even the corner coffee shop) to get work done or when they should be in the office for collaboration. Bottom line: We value good work, not how many hours you spend strapped to your desk. In addition, Asurion has a “no policy” time off policy, meaning that exempt employees are not limited in paid time off and simply work with their leader for time off. 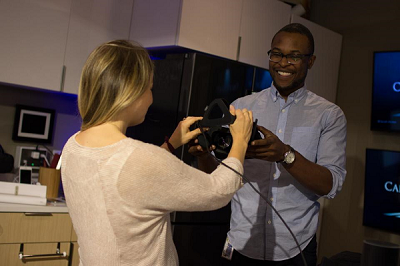 Living your best life: We want to help our team members live their best lives. Our wellbeing program goes a step beyond most and provides team members with free access to personal health AND financial coaches. Our Wellness programs do everything from providing team members with step-by-step, private financial guidance around major life events (like buying a home or preparing for retirement) to serving up a dose of healthy choices competitions. Culture champions: Asurion employs over a dozen People Service Coordinators (PSCs a.k.a “Culture Champions”) – full-time employees who are solely dedicated to motivating and celebrating their colleagues. By organizing frequent morale-boosting events and being present in the every day, PSCs keep a pulse on Asurion employees’ happiness. No birthday, work anniversary, or accomplishment goes unnoticed with PSCs at the helm. They are a testament to the value Asurion places on every employee’s satisfaction. The fund for employees, by employees: The Compassion Forward Employee Fund enables employees to help each other when life gets complicated. Every penny donated by employees goes directly to helping fellow employees get back on their feet financially when unforeseen events strike. The Fund is designed to meet critical needs fast.